Congratulations are in order: the Los Angeles Philharmonic has earned ASCAP’s 2010-2011 Morton Gould Award for innovative Programming, making it one of only 26 orchestras to be honored with an award this year. 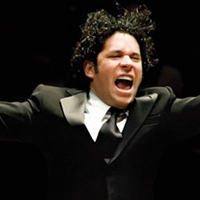 We’re pleased for the Phil—and looking forward to many a concert at the Hollywood Bowl this summer—but we already knew that music director Gustavo Dudamel is up to great things. Tim Page even says so in A Rare Genius, this month’s profile of the conductor.